Many experts in the VMware field have different opinions on what server makes a good home lab server. The discussion ranges from white boxes, using parts found on Newegg or Tiger, to branded boxes, with the ML110 a seemingly popular choice. I’ve always had a range of home servers, all white box, for testing (and breaking) Windows environments as I continued to learn and master that platform. However, I finally decided it was time to invest in a server dedicated specifically to VMware learning, especially as I continue to study for the VCAP-DCA. One of the huge advantages of the VMware community is that, on the whole, there are a lot of talented, positive people who are willing to discuss their virtualization passion online and share what they know. 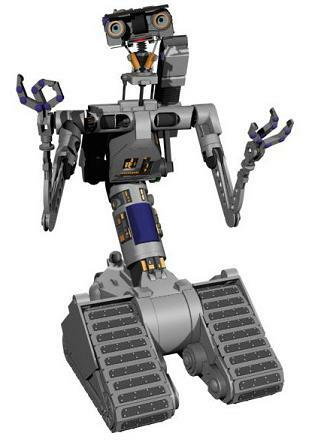 An article written by Curtis Preston sparked my interest in the VMware home lab, in which Philip Jaenke and Eric Siebert discuss some lab builds. The infamous “Baby Dragon” is pitted against an HP ML110. Both authors make a lot of great points about support vs price points. Eric also has a great compilation of home lab resources on his blog. In honor of the Baby Dragon, I’ve configured what I joking called the Black Dragon, a name that sort of stuck around the office. Having support for 3 years is great for peace of mind on the hardware. Lots of space on the drives for using this as both a VMware lab, and hosting some files on it using a file server virtual machine. All components are fully supported by VMware’s HCL. Low cost and arrived fully assembled and ready to go. There was a time where I was gung-ho to build boxes and spec out parts, but these days I prefer to just click, pay, and dedicate my time to the lab work or being with the family (not necessarily in that order). I have since made two significant upgrades to my Dell T110 to make it a bit more potent as a VMware lab server. Both upgrades worked fine in vSphere 4.1u1 and required no special configuration or drivers beyond what is already loaded. Hopefully if you’re in the market for T110 (or G2) you can use these links to supplement a purchase with some cheaper upgrades. If or when I get another one, I’ll probably just get it with 1 or 2 GB of memory and purchase the sticks from Newegg. My biggest gripe at this point is how extremely frustrating it is to do firmware upgrades to a Dell server (in general), especially when compared to HP. The Dell Server Update Utility DVD consists of 3 split ISO files, took multiple hours to download as it came at 200KBps (super great for 1999, super slow for 2011), and ended up being too big to burn onto a DVD!?! I ended up snagging the System Build disk and then mounting the firmware repository over USB. Compared to grabbing the HP SmartStart DVD (single file, took me 4 minutes to download) and letting it auto-magically upgrade everything with a single boot, this is terrible. 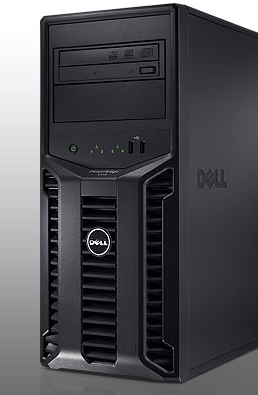 I really love Dell equipment for the price and reliability … and did I mention the price? Hence I only mark this as a “gripe” rather than a serious issue. Overall, for my first attempt at a home VM server, I’m very pleased with this box. I’ve worked with Dell for quite some time, and am “comfortable” with their technology through repeated use and experience. The goal here was to find an alternative to some of the other popular builds while staying competitive on spec and price. I would like to have your recommendation on home lab for DCA with respect to configuration details. Stan – I’m currently using just one Dell T110 server and running virtual ESX hosts on top of it. If I could do it over again, I would get two hardware servers and an iSCSI NAS. This should be in the $1500-1800 range, depending on tax and features. The most hardware bound features on the VCAP-DCA are DPM (requiring WoL or an iLO/DRAC) and FT (require hardware virtualization support). > For the servers, If you get the T110 from this article without a SAS RAID card and a smaller disk, it should be in the $600 range per server. > For the NAS, I prefer the Iomega IX4-200D (in either a 2TB or 4TB flavor), which is also around $500 retail. is it doable to get the T110, install ESXi to a flash drive on the T110 and create/run my VMs on a NAS? Yes, that would work. Although the T110 is a bit old now, you would want to look at more current hardware options from Dell or others. You can install ESXi on just about whatever you want – HDD, SDD, USB stick, or even stateless. For Shared Storage i am using Starwind Software iscsi, which is connected to a 2TB Hard Drive. This seems to work, only problem, if you reboot the server starwind is installed on, you loose connection to shared storage, apart from that it works fine. I have 3 nested virtual esxi 4.1 hosts. Was thinking, would it be beneficial to have another physical host?? For VCAP are there any set labs you should follow or do you just recreate the labs from the blueprint objectives?? My storage appliance is on a separate host from my lab for just that reason. In fact, my vCenter, VSA, vMA, and SQL box were all separate to avoid any issues with them. I think TrainSignal is making a more comprehensive VCAP learning course, which at this time I believe is limited to the Troubleshooting information.